I have been doing musical theatre and singing in choirs since I was five years old. When I was seven, I began taking piano lessons and once my dad taught me the A, D, and G chords, I taught myself how to play the guitar. We moved around from country to country quite a bit when I was wee, so playing music and meeting other people my age who did the same thing was how I became acclimated to a new place. What is/are your favorite song(s) that you've helped direct at RiverCity? 'Black River Killer’ by Blitzen Trapper and ‘Don’t Stop Me Now’ by Queen. I love that RiverCity is run for Salemites by Salemites. The focus on community music growth, connection, and development is really lovely. Having a place to find dedicated, similarly music-minded individuals who you can connect with, is truly lovely. Gregory Alan Isakov and Josh Ritter. Any folk music. To keep at it. No great musician was made overnight. You can have the most potential in the world, but unless you work at it and really give it time and energy, that’s all you’re going to have. Watching yourself grow as a musician is one of the most fulfilling things that you can go through in my opinion. Keep at it. I hold inside my mind an absurd number of incredibly irrelevant facts, at least one-third of which are in regards to Scotland (my great home nation). I’ve recently started working as a music teacher at Little Friends Montessori School downtown. I frequently perform my original folksy tunes under my own name, as well as play in an ambient-indie band called Tied to a Grizzly. I’m an avid journaler and doodler, I have an established collection of succulents, and I am known to name everything I am fond of. 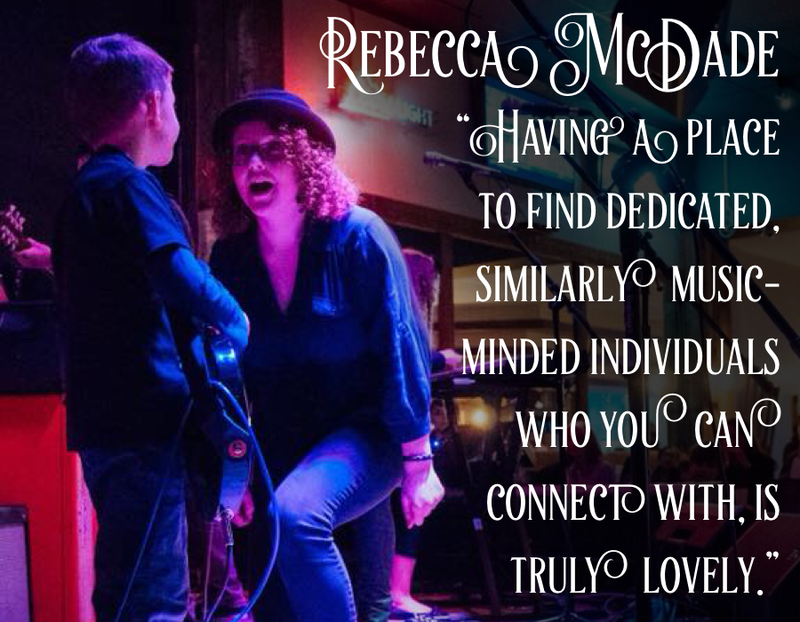 Rebecca is available for voice, (acoustic and electric) guitar or keys/piano lessons. Contact RiverCity to schedule your free trial lesson and tour. Gutar/Bass Tech Time Workshop! Sign-ups end Friday, Oct. 20th.